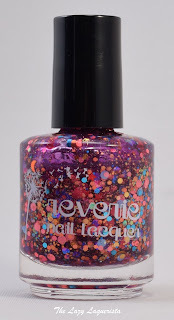 Reverie Nail Lacquer's fall collection came out a couple weeks ago and I have one of the new shades to share with you today. Harvest Moon features a berry jelly base with gold flecked shimmer packed with an assortment of pink, purple, gold and blue circles and hexes. It also has a sprinkling of small red stars and gold crescent moons. This polish is about 90% glitter so it does take more work to put on than your standard creme. I did have to do a little dabbing and nudging but overall, nothing unexpected for a glitter bomb like this. 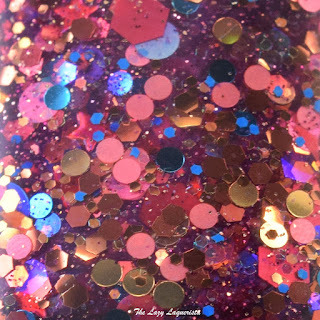 The glitter concentration also causes this polish to dry a little bumpy so an extra coat of top coat to smooth everything out is a good idea. 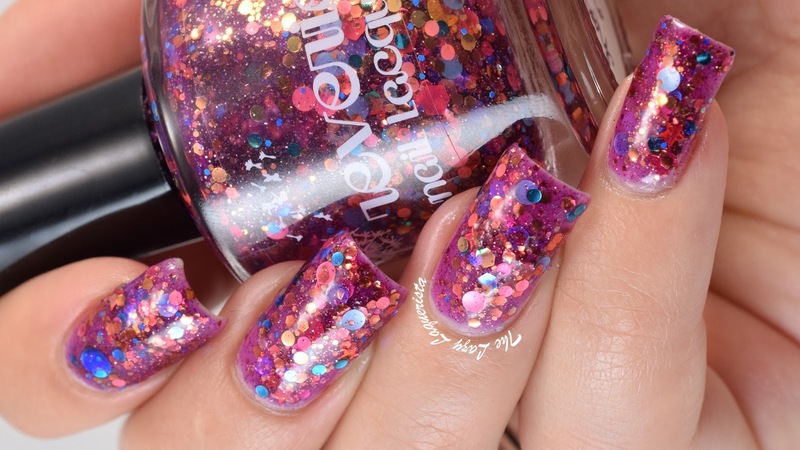 Photos show three coats of Harvest moon with two coats of Seche Vite in daylight spectrum lighting.